The Slow Wine is coming! The Slow Wine is coming! Actually it is the Slow Wine Guide that is coming along with some of the wines featured inside if you live in LA, SF or NYC! If you live in the LA area, and you’d like to discover Slow Wine AND get a copy of the new issue of the Slow Wine Guide, join me on Tuesday, January 27, 2015 from 6 to 8:30 PM at a Slow Wine tasting. If you live in the SF Bay Area, the event is Th. Jan. 29, and then the show goes to NYC Mon. Feb. 2. Order your ticket using WINEPREDATOR code for $15 off: CLICK HERE for TICKETS– must purchase in advance. More details follow on Slow Food, Slow Wine, the Guide and more. Slow Food is…a global, grassroots organization with supporters in 150 countries around the world who are linking the pleasure of good food with a commitment to their community and the environment. My friend Marialyce is part of a “Slow Food Sundays” group in LA that gets together monthly to cook together around a particular theme; the night we went the theme was Italian. We found that savoring the process as much as the product, that the company and the sharing and the teaching and the learning is as important as sitting down together to break bread and drink wine. So what do you get when you apply the Slow Food philosophy to wine? Small-scale wine makers working the land using traditional techniques with respect for the environment and terroir, while safeguarding the incredible biodiversity of grape varieties. Presented by Slow Food International and Los Angeles Wine Tasting, the event features more than 50 Slow Wine producers from 15 Italian wine regions with the opportunity to discover and taste over 100 wines. The event is being held at The Taglyan Complex 1201 Vine Street Los Angeles, CA 90038. “Slow Wine Guide critiques wine through the perspective of the Slow Food philosophy giving prominence to small-scale wine makers who are using traditional techniques, working with respect for the environment and terroir, and safeguarding the incredible biodiversity of grape varieties that are part of Italy’s heritage. 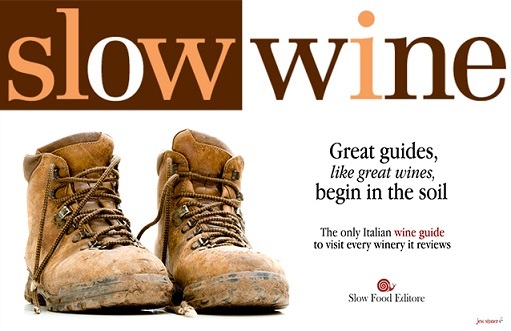 Slow Wine is the only Italian wine guide that visits all of the wine makers included in the guide, in their vineyards.” Reviews of the 8,400 wines in the book include approaches used in the vineyard and cellar of more than 1,800 wineries. 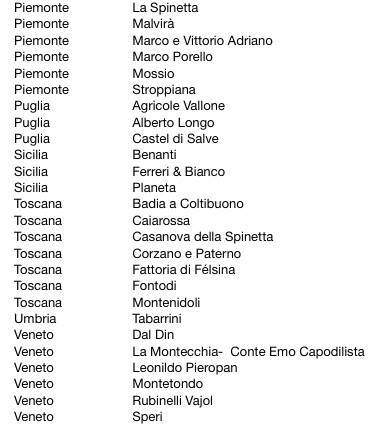 If you would like a copy of the Slow Wine Guide ($25 value) and the opportunity to taste a broad selection of Italian wines, buy your tickets NOW and save $10 with the code LAWineTasting or $15 with the code WINEPREDATOR. CLICK HERE for DISCOUNTED TICKETS which you must purchase in advance: No Tickets at the door. Parking is available in LA, with mandatory valet, at the Taglyan Complex for a fee of $8.00. Watch for my tweets on Tuesday! ← Thich Nhat Hanh: No mud, no lotus. Wow, that’s tomorrow! 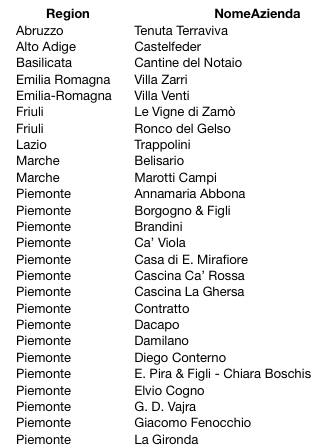 Off the top of my head, Borgogno is one of the oldest, most consistent traditional Barolo producers…keep me posted, Auguri, enjoy!